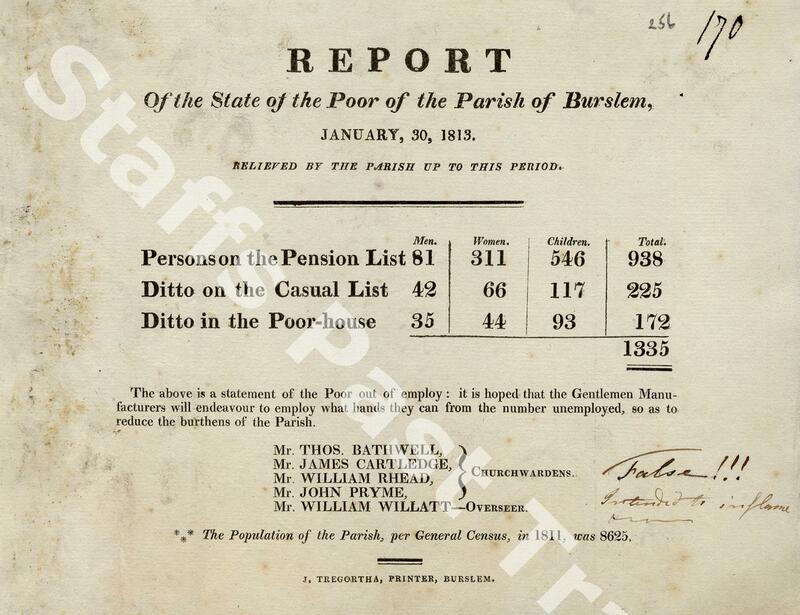 Description:This document provides an account of benefit payments in Burslem at the end of January 1813. In 1811, the town's population had been 8,625. In January 1813, 1,335 of these were receiving relief from their poverty. 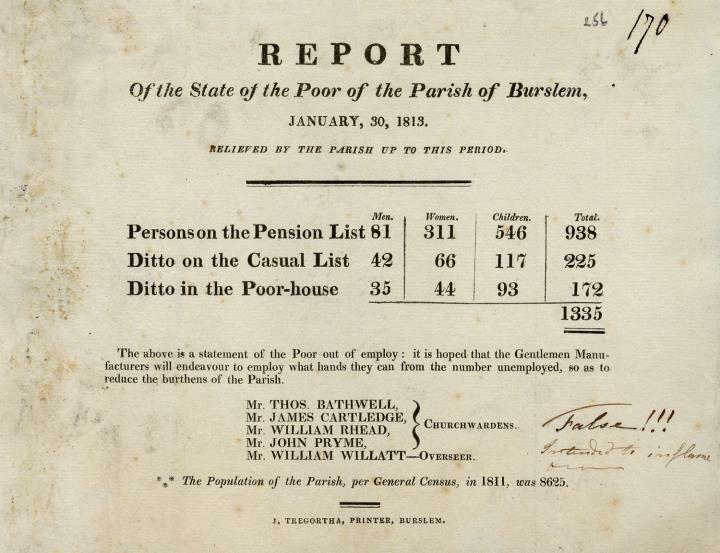 At this time, benefits were paid to the poor by the local Church of England parish. Older citizens, widows, or those unable to work could receive a pension. In some cases, their children might receive pension payments too. Unemployed workers could be paid 'casual rates' while living at home. Those with no other choice might be taken into the local workhouse. Also destined for the workhouse were people that the parish thought were 'undeserving' of casual payments. Pottery manufacturer Enoch Wood kept this document, which is now among the collections of Stoke-on-Trent Museums.